Tumor necrosis factor-related apoptosis-inducing ligand (TRAIL) can induce apoptosis in cancer cells without sparing toxicity to normal cells.1 However, the efficiency is greatly limited by its short half-life and wild resistance in various cancer cells. The IPN nanoparticles were prepared by self-assembly of PEGylated cationic amphiphilic polymers (Alkyl-PEI2k-PEG2k), during which the metalla-aromatics complex Ph556, a new photothermal agent3, and iron oxide nanoparticles (IO) were encapsulated inside the core of resultant micellar hybrid nanoparticles. 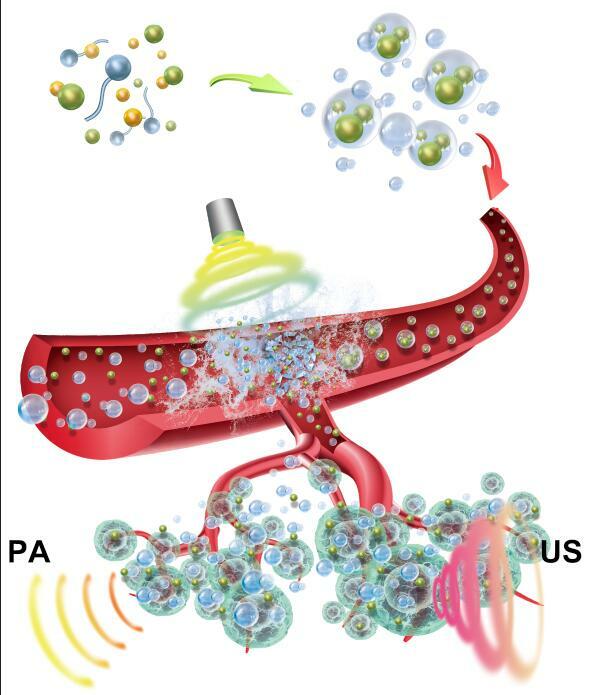 These hybrid micellar nanoparticles (IO+Ph556@NPs, abbreviated as IPN) adsorbed negatively-charged TRAIL ligands via electrostatic interactions, resulting in TRAIL nanocomposites (IO+Ph556@NPs@TRAIL, abbreviated as IPN@TRAIL). IPN@TRAIL not only increased the TRAIL stability and half-life but also presented a significantly high capacity for enhancing magnetic resonance imaging (MRI) and photoacoustic imaging (PAI) contrast. Besides, the IPN@TRAIL nanocomposites also exhibited a great photothermal conversion efficiency (26.6%), comparable to some typical photothermal nanoagents (e.g., Au and Cu9S5 nanocrystals).4 These great properties render IPN@TRAIL nanocomposites a potentially promising theranostic platform for cancer therapy. The synergistic effect of photothermal (PTT) and TRAIL were verified on several different TRAIL-resistant cell lines (e.g. A549 and MCF-7) by MTT and AM/propidium iodide (PI) staining. Such photo/TRAIL synergistic effect possibly resulted from PTT-triggered upregulation of death receptor (DR) onto cancer cells that play important roles in TRAIL-induced apoptosis pathway1, which was evidenced by western blotting. To the best of our knowledge, this is the first study that shows PTT can enhance the DR expression. So far, chemotherapy is still the most common approach to upregulate DR expression5, but its notorious side effects greatly limit the utility of chemo/TRAIL combination strategies. However, the PTT provided a much safer and controllable approach to modify the expression of DR in TRAIL-resistant cancer cells. MRI/PAI dual-modal image was implemented on A549 tumor-bearing mice to monitor the delivery of nanoparticles and guide the photo/TRAIL synergistic therapy. PAI/MRI dual-modal images showed the IPN@TRAIL accumulation in tumor reached maximal at 6 h post i.v. injection. Besides, biodistribution studies showed IPN@TRAIL exhibited a higher tumor accumulation compared with either IPN nanoparticles or TRAIL ligand, indicating TRAIL can in turn improved tumor homing. Subsequently, the laser was performed at 6 h post injection to implement photo/TRAIL combinational therapy. Then, tumor volume was monitored every two days. Photo/TRAIL combination showed a significantly increased tumor growth inhibition, compared with free TRAIL, IPN@TRAIL, and PTT. More importantly, the dose of TRAIL was only 0.16 mg/kg in our study, which is significantly lower than other reported TRAIL nanoformulation with TRAIL dose range of 2-20 mg/kg6,7, indicating the synergistic effects between PTT and TRAIL improved the TRAIL efficiency greatly, which guaranteed an effective cancer therapy even at a low dose. Republished with permission from Elsevier from https://doi.org/10.1016/j.biomaterials.2018.05.036. The immunohistochemistry (IHC) staining of tumor tissues was performed to further reveal the mechanism of photo/TRAIL therapy. We found that the DR4 and DR5 expression in the control, laser irradiation only, and IPN nanoparticles treatments were relatively low, consistent with cell experiments. However, the DR4 and DR5 expression were significantly enhanced in phototherapy treated tumor tissues, similar to the cellular WB data. It suggested that these upregulations contributed to the synergism between PTT and TRAIL therapy and resulted in complete tumor regression. Finally, the potential toxicity of IPN@TRAIL nanocomposites was systematically evaluated by hematological parameters, body weight, and hematoxylin/eosin analysis of major organs. Nanocomposites were found to be quite biocompatible with little side effects on the mice. In summary, the authors developed functional nanocomposites decorated with TRAIL ligands (IPN@TRAIL) for photo/TRAIL combination therapy. The TRAIL nanocomposites can enhance the TRAIL stability in physiological conditions, optimize biodistribution, and improve tumor homing, which were guided by dual mode imaging of MRI and PAI. More importantly, we demonstrated that the phototherapy could re-model the cancer cell death receptor expression, which was safer and more controllable compared to chemotherapy. Such an effect can augment the efficiency of co-delivered TRAIL, resulting in the synergistic photo/TRAIL therapy for combating TRAIL-resistant A549 tumor. Finally, our IPN@TRAIL nanocomposites exhibited rapid clearance and showed no obvious damage to major organs, suggesting a potential application for future clinical translation. 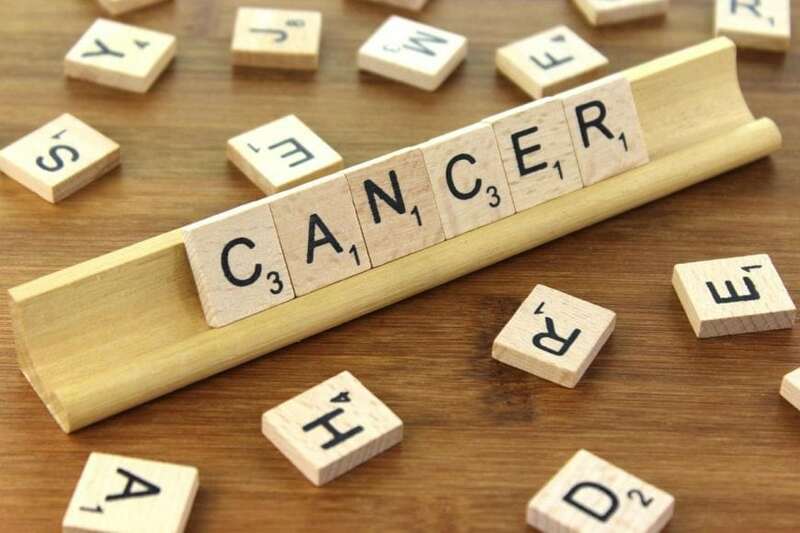 These findings are described in the article entitled Photo-excitable Hybrid Nanocomposites for Image-guided Photo/TRAIL Synergistic Cancer Therapy, recently published in the journal Biomaterials. This work was conducted by Gan Lin from Xiamen University and The University of Melbourne, Yang Zhang, Congqing Zhu, Chengchao Chu, Yesi Shi, Xin Pang, En Ren, Yayun Wu, Haiping Xia, and Gang Liu from Xiamen University, Peng Mi from Sichuan University, and Xiaoyuan Chen from the National Institutes of Health. Johnstone, R. W.; Frew, A. J.; Smyth, M. J. Nat Rev Cancer 2008, 8, 782. Lin, G.; Zhang, Y.; Zhu, C.; Chu, C.; Shi, Y.; Pang, X.; Ren, E.; Wu, Y.; Mi, P.; Xia, H.; Chen, X.; Liu, G. Biomaterials 2018, 176, 60. Zhu, C.; Yang, C.; Wang, Y.; Lin, G.; Yang, Y.; Wang, X.; Zhu, J.; Chen, X.; Lu, X.; Liu, G.; Xia, H. Science Advances 2016, 2, e1601031. Yang, C.; Lin, G.; Zhu, C.; Pang, X.; Zhang, Y.; Wang, X.; Li, X.; Wang, B.; Xia, H.; Liu, G. Journal of Materials Chemistry B 2018, 6, 2528. Liu, X.; Yue, P.; Chen, S.; Hu, L.; Lonial, S.; Khuri, F. R.; Sun, S. Y. Cancer Res 2007, 67, 4981. Kim, T. H.; Jiang, H. H.; Park, C. W.; Youn, Y. S.; Lee, S.; Chen, X.; Lee, K. C. J Control Release 2011, 150, 63. Nair, P. M.; Flores, H.; Gogineni, A.; Marsters, S.; Lawrence, D. A.; Kelley, R. F.; Ngu, H.; Sagolla, M.; Komuves, L.; Bourgon, R.; Settleman, J.; Ashkenazi, A. Proc Natl Acad Sci U S A 2015, 112, 5679. Gan is a research scientist at the University of Melbourne and Xiamen University.